Seeing its release today is the Paragon Ragtime Orchestra’s third volume in its “Black Manhattan” series on New World Records. The group specializes in neglected works by African American musicians from the late Nineteenth and early Twentieth centuries. The sum total of their efforts on all three of their recordings is some sixty pieces by thirty-two composers. The recording supplies abundant variety to enjoy: ebullient dances, reflective blues, and uplifting renditions of Gospel hymns. It has only created one “problem” for me: it is so good, now I will have to acquire copies of the their first two volumes! Luminous, composer Lei Liang’s latest CD for New World, is among his most imaginative releases yet. In an email exchange, Liang cited fruitful artistic partnerships as central to his inspiration for the five works on the CD. Percussionist/conductor Steven Schick is central to the project. The percussion solo Trans, written for Schick’s fiftieth birthday also incorporates an effective use of audience participation: 100 or so people were given small pairs of stones to knock together, creating a sheen, like ardent rainfall, that provides a backdrop of sound to Shick’s virtuosic playing of a multi-instrument kit. Another piece that features percussion is Inkscape. Written for a consortium of ensembles, this piano/percussion work is performed here by Third Coast Percussion and pianist Daniel Schlosberg and conducted by Michael Lewanski. The piece moves from a diaphanously mysterious saturation of soft dynamics and textures to a more fragmented, stentorian presentation. 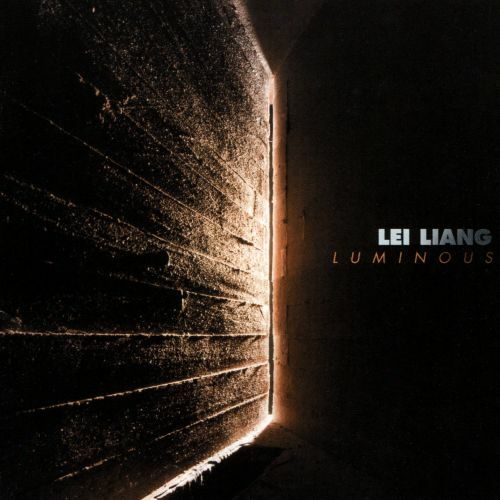 Thus, Liang puts two of the most important aspects of any percussion piece – those of texture and dynamics – in opposition, crafting an overall formal design that is quite elegant. The end of the piece takes these juxtapositions and presents them in smaller chunks, allowing the listener moments of reverie only to be thrust again into fortissimo passages. Verge Quartet is, in part, based on Mongolian folk music, its gestural language as well as its folksongs. That said, it is no pastiche piece. The folk influences are integrated into Liang’s overall compositional approach, not as an East-meets-West hybridization, but in truly organic fashion. One could compare his approach in Verge Quartet to those of Béla Bartók, György Ligeti, Unsuk Chin, and Michael Finnissy, composers who make the incorporation of folk material a seamless yet integral part of their respective musical languages. 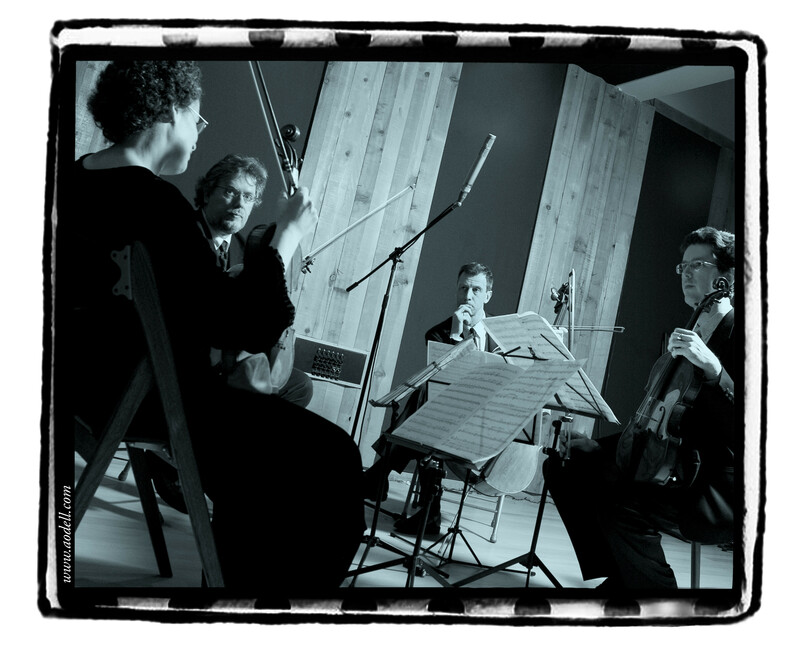 The Formosa Quartet plays the work with brilliant energy and carefully detailed authenticity. Alec Karis is an authoritative pianist on the solo work “The Moon is Following Us,” demonstrating the capacity to evoke all manner of dynamic shadings and varied phrasing with nimble accuracy. Starting with brash repeated clusters, the music gradually moves through assorted ostinatos to a shimmering palette of added note chords. Neo-impressionist touches, such as harp-like arpeggiations and quickly unspun treble register melodies, gradually soften the hard-edged modernism of the opening into a more fluid sound world. This summer, Liang’s Gobi Canticle will be premiered at the Festival of Contemporary Music at Tanglewood. I very much forward to hearing it.